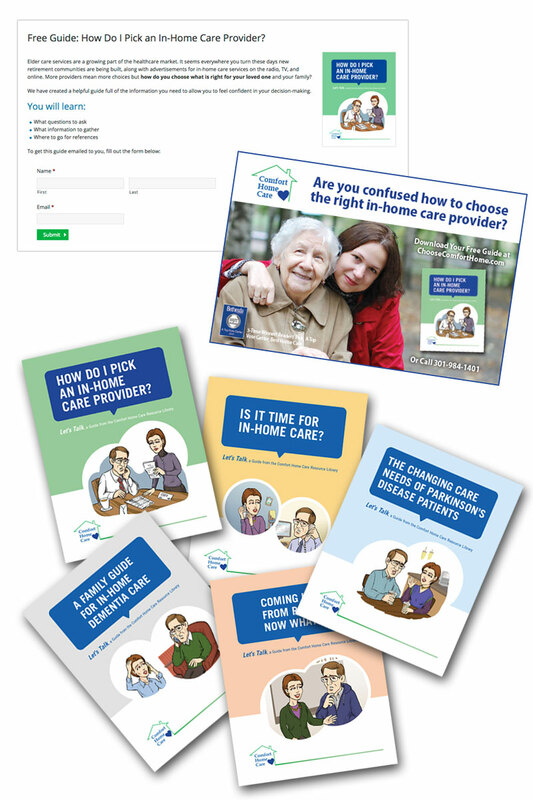 The founder of Comfort Home Care was seeking a solution to increasing the qualified lead traffic to their in-home care company website and, at the same time, creating tools to assist his sales team. We presented the solution to create a series of informative guides that would serve as both online remarkable content—fueling an inbound marketing campaign—as well as traditional printed material to distribute as in-person sales tools during sales calls, trade shows and presentations. The talented team at TRUE created the written content, custom illustrations, design, landing pages and supplied the printed materials for a complete turn-key experience for the business owner. The business owner is thrilled!